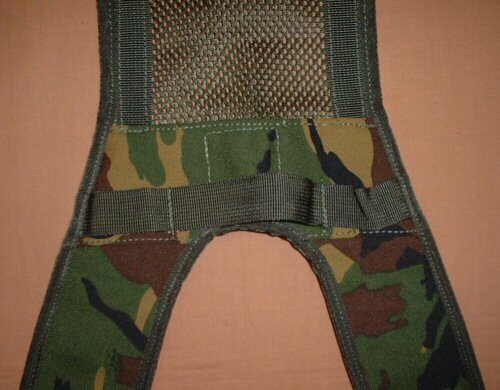 PLCE Webbing Yoke by Webtex in DPM Cordura material. Comparable in desgin to both the British issue yoke and wyverns version of the PLCE system. 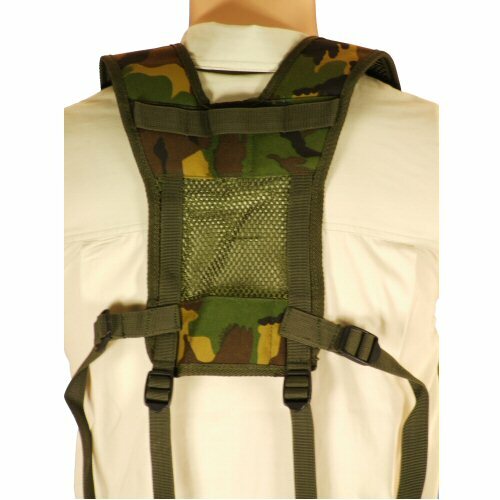 The yoke is the core of the PLCE webbing system, distributing weight evenly and securing it safely across the wearer. 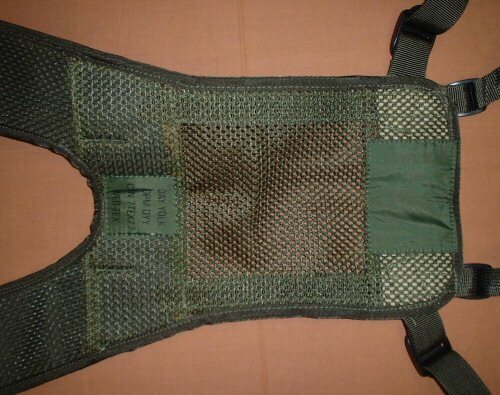 The Webtex Yoke is based on a core nylon netted material which is covered in load bearing positions by a British DPM pattern material constructed of lightweight waterproof cordura with an olive edged stitching along all the sides to avoid any discomfort and retain the durablity and stability of the kit. The overall layout back and front is identical to the PLCE issue yoke and is fully compatible with both issue and wyvern kit. A good alternative to both.